Arimidex (anastrozole) is an aromatase inhibitor that now has widespread adoption by both women and men. Arimidex was originally developed to help in the battle against breast cancer but was heavily used by male steroid users and, shortly after, fertility and sports medicine physicians. 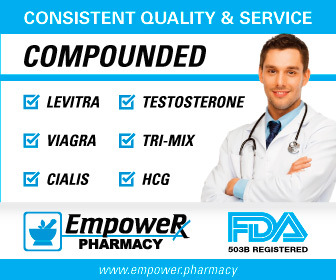 These off label usages have been steadily growing, especially among the steroid community, whose supraphysiological testosterone levels often require the brakes be put on their heavy aromatization and all its ensuing side effects such as gynocomastia, mood changes, loss of libido and erectile dysfunction. 1) Pseudo-HRT. Arimidex can boost testosterone and the testosterone-to-estradiol ratio very significantly. This can make it a viable short term solution for many men with low testosterone since it preserves fertility and can solve some estrogen-related problems. An even bigger driver is the fact that at least half the male population is overweight or obese. In my link on Testosterone and Arimidex, I cover how one study in senior men showed an average testosterone increase of 62% and a boost in the testosterone-to-estrogen ratio of 112%! Not bad for just popping a pill, eh? 2) Estradiol Dampening on HRT. Men with low (hypogonadal) testosterone levels can end up with overly low estrogen levels such that they actually begin to experience bone loss and, eventually, osteopenia. (Quite a few men will even go to full-fledged osteoporosis.) However, the opposite situation is actually occurring with some men going on the new testosterone therapies where testosterone is pushed well above 800 ng/dl, i.e. weekly injections or pellets. In these cases, many men who are (generally but not always) carrying extra weight will find that their estradiol shoots way up at the same time. So you may have a man with testosterone of a 1000 and estradiol of 100 that nullifies the effect of the raised testosterone. E2 levels this high will usually put the brakes on erectile strength, libido and are a risk factor for many nasty conditions. The solution? Many practitioners are now relying on Arimidex to handle the elevated estradiol issue, so it is becoming increasingly common for men to be on high dose testosterone and low dose Armidex to lower one's bloated estradiol levels. And, from what I have seen, the physician does not think of Armidex as a short term solution while he insists on weight loss with his or her male patient. Instead, Armidex is considered part of a package HRT solution. 1. Negative Alterations of Inflammatory Cytokines. One study showed that "anastrozole induced the increased levels of proinflammatory cytokines, IFN-gamma, IL-12, and the decreased levels of IL-4, IL-10 secretion. We further found that anastrozole suppressed the differentiation of naive T cells to Treg cells, and it blocked the balance of IgG2a/IgG1 in peripheral blood." This is potentially ugly as I would argue that Inflammation is Enemy Number One. The last thing most guys need to accelerate systemic inflammation by even a small amount. 2. Joint and Arthritis Risk. One very common risk of Arimidex treatment is joint pain and/or arthritis. The study above concluded that "anastrozole potently promote the progression of arthritis." One study on women showed that Arimidex users had a higher than expected number of complaints about joint issues. (Just because this was on women does not mean it does not apply to men. Many men complain of joint issues while on Arimidex.) Now I should mention that most of the study work has been done on women who are on Arimidex for breast cancer treatment. Their estrogen is brought down very low. Men who have moderate estradiol adjustment into youthful E2 levels are obviously a different animal altogether. In other words, men on low dose Arimidex will probably not have this concern, unless their doctor does not monitor and unwittingly pushes his patient's estradiol too low. I have see this happen on The Peak Testosterone Forum. 3. Liver Toxicity. Arimidex is mildly liver toxic in some individuals. For example, one study of men found that liver enzymes were raised in about 7% of men. Now, admittedly, this is generally not a major issue, but liver function is extremely critical. See my links on The Liver and Insulin Resistance and The Liver and Inflammation for examples. Again, is this going to be good over decades?? NOTE: This is probably not an issue for men on low dose Armidex. NOTE: In my link on Arimidex and HRT, I discuss a number of other important reasons that men on HRT may want to limit their Arimidex usage as well. You may also want to check out my link Natural Estrogen Blockers if you want, under your doc's supervision of course, to go to a more supplement or lifestyle-based approach. 4. Possible Clotting Issues. Arimidex can interfere with the clotting cascade. See my page on The Risks of Testosterone for more information. It is possible that men with certain clotting or cardiovascular risk factors could get themselves in trouble. 5. Vitamin D Depletion. Some researchers speculate that Arimidex depletes Vitamin D as they have found that patients with muscle and joint pains on Arimidex have lower than expected levels of Vitamin D, although this is not proven yet. Practitioners have also noted that taking extra Vitamin D helps with a variety of side effects and one study in women even verified this. One Forum poster on Arimidex was put on high dose Vitamin D and my guess is that this is the reason. Extra Vitamin D has also been known to help with rheumatoid arthritis. NOTE: This is not an issue for men on low dose Armidex who also have their 25-hydroxy levels monitored. CONCLUSION: As you can see, generally the side effects of Arimidex are usually negligible assuming one is taking relatively small dosages. However, there are several nagging concerns that, hopefully, will one day be addressed. My opinion: if you are going on testosterone therapy, get those abs back! Yes, you can try Armidex short term. But do what it takes to lower your body fat percentage to where you can see a nice line down those abs: this usually will dramatically lower your aromatiziation and, therefore, estradiol levels even on high dosages of testosterone therapy. I have seen estradiol greatly reduced in men who have gotten their weight way down. 1) Experimental Gerontology, Jun-Jul 2009, 44(6-7):398-405, "Immoderate inhibition of estrogen by anastrozole enhances the severity of experimental polyarthritis"
2) Breast Cancer, 2006;13(3):284-8, "Joint symptoms: a practical problem of anastrozole"
3) The Journal of Urology, Feb 2002, 167(2 Part 1):624 629, "AROMATASE INHIBITORS FOR MALE INFERTILITY"
5) Arthritis Rheum, 2004 Jan, 50(1):72-7, "Vitamin D intake is inversely associated with rheumatoid arthritis: Results from the Iowa Women's Health Study"